Mahesh Babu who is currently busy with AR Murugadoss film has already signed up for two other films to be directed by Koratala Siva and Vamsi Paidipally. 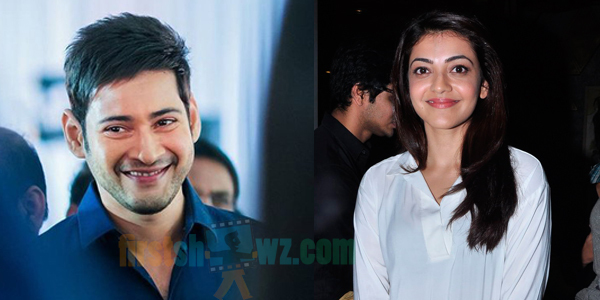 The latest news we hear is Mahesh Babu will once again be sharing screen space with Kajal Agarwal in Vamsi Paidipally directorial. The duo was seen earlier in Businessman and Brahmotsavam and look like they’ll team up again. Vamsi Paidipally has confirmed his film with Mahesh Babu, and said that he project will be jointly produced by Ashwini Dutt and Dil Raju. The cameras are expected to roll from the second half of 2017. “It’s my pleasure to announce my next film with The Superstar @urstrulyMahesh. #MB25. This film will be produced by Aswani Dutt garu and Dil Raju garu. #MB25,” posted Vamshi Paidipally.